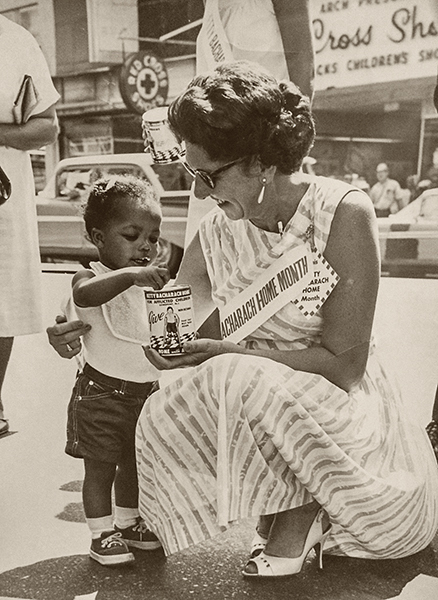 Fifty years ago, teams of Bacharach volunteers collected donations of nickels and dimes during August. Standing in the hot sun, coin by coin, it was hot, sweaty work. That is why we are such fans of #GivingTuesday. #GivingTuesday, the global day of philanthropy, will be celebrated on December 1st this year. Using the power of social media, #GivingTuesday has continued to grow since it was launched in 2012 by the 92nd Street Y cultural center in New York City. With more than 30,000 partners around the world, ranging from individuals to nonprofits and corporations, #GivingTuesday reminds us of the critical need for community service and giving back. The Bacharach team has been holding a series of events leading up to this significant day. From tee shirts to tattoos and treats – we are celebrating the incredible work that goes on at Bacharach every day and asking the community to pitch in. Not with nickels and dimes, but with a few simple clicks on bacharach.org/donate. With four weeks to go, we have already raised nearly $7000 to support programs and services here. Your donation will help make us stronger as we continue to offer our patients the most advanced treatments and state-of-the-art technology available.